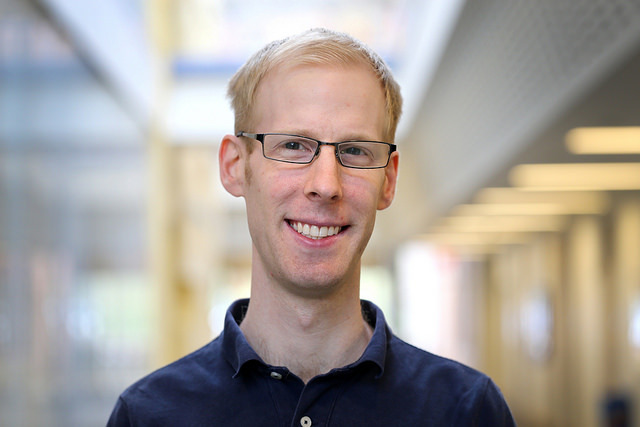 Jonathan Kummerfeld, postdoctoral fellow in CSE, has been recognized by U-M for his excellence in research, teaching, mentoring, service, and leadership. The Outstanding Postdoctoral Fellowship Award is given to 10 fellows each year. This project developed new models that interpret questions in English and generate programmatic queries for a database, a key ability for a useful conversational system. The team achieved state-of-the-art results, and showed that the accuracy of prior work was overestimated and lacked the ability to generalize. Modern artificial intelligence systems rely on vector representations of inputs such as words. This work showed that these representations are surprisingly variable, even when the data and model structure remain the same. This has implications for the use of these representations as a way of investigating language use and for evaluation of methods for generating representations. Online group-chat conversations can quickly get messy, with multiple threads of conversation happening at once. Automatic disentanglement of these conversations would be useful to someone joining a conversation part-way through or searching over old conversations. This project developed a new dataset an order of magnitude larger than prior work, and explored new AI models that are able to provide more accurate disentanglement. In the coming year Jonathan will be working with members of the CROMA lab on AI for adaptive annotation tools and for augmented information exploration. The first of these projects will be partially supported by a grant from the Allen Institute for Artificial Intelligence. Beyond research Jonathan has mentored four undergraduate students in the UROP program, been on the program committee for ten conferences and two journals, assisted in reviewing graduate student applications in computer science, and helped coordinate visits by external faculty speakers.